One-by-one, the youth of Chelsea make their way, precariously, through the system, one day hoping to become one of a rare group that come right through the system to become a first team regular. The group remains a small group with everyone who, as a youngster, hopes to emulate the achievements of the club legend, but so many more drops by the wayside than make the grade. Chelsea’s record of bringing youth through the system to become permanent members of the first-team isn’t something that receives accolades, in fact, it is often a subject that the media pour scorn on. This weekend, it appears that a youngster who had great success with the youth side and a youngster who was tipped as somebody who could possibly add to the aforementioned small group is set to see his stay at Chelsea ended. According to the new source, Goal, Chelsea’s Nigerian full-back, Ola Aina, is set to leave the club. 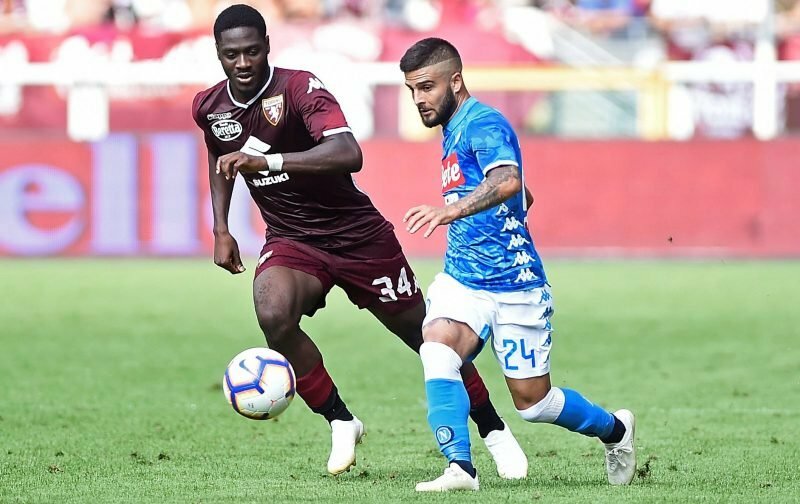 Aina, now 22-years-of-age, has spent this season on loan with Torino, in Serie A, whilst with Torino, Aina has impressed sufficiently for the Italian club to want to buy the player on a permanent basis with a fee of £8.7 million being quoted. With a future at Chelsea seeming highly unlikely, it would be no surprise if this was a deal that was wrapped up once the summer transfer window opens.